Your front yard landscape design has a big impact on your home’s curb appeal and property value. If you’re planning to sell your home for the best possible price, it’s important to create a landscape that is green, healthy and well-maintained to attract potential buyers. Does your home lack curb appeal? You need to make a good first impression. Your front yard landscape design is the first thing people see when they arrive, so it should highlight the style and character of your home and make a bold statement. Add a few of these landscaping and hardscaping features to create an inviting entrance that will excite potential buyers to see what’s behind the front door. Consider these unique front yard landscape design features that will wow buyers and increase your home’s value. Walkways are an important part of your front yard landscape design. 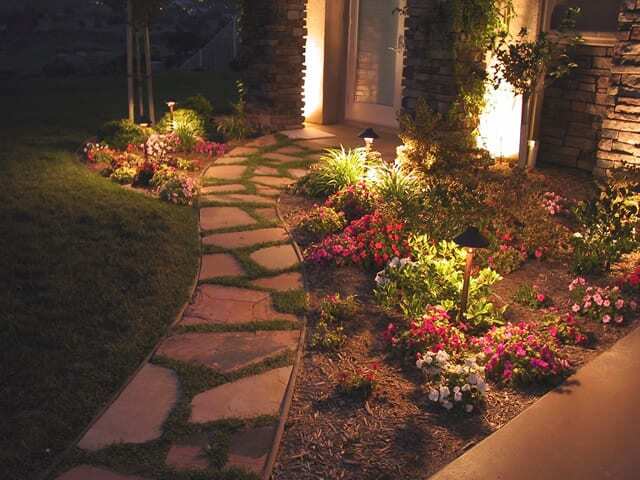 A beautiful walkway provides an aesthetic way for you and your guests to get to your front door. When designing a front yard walkway in Omaha, the width, shape and paving materials are important factors. Roll out the welcome mat with a blooming front yard landscape design to create a stunning entrance to your home. By creating garden beds full of colorful trees, flowering shrubs, and annuals and perennials that bloom throughout the year, guests and potential buyers will feel welcome as soon as they arrive. A front yard landscape design is not complete without landscape lighting. It’s an easy, affordable way to convey a soft, inviting atmosphere and enhance property safety after the sun goes down. Landscape lighting can create safe footpaths, gorgeous views and stunning focal points in your front yard. 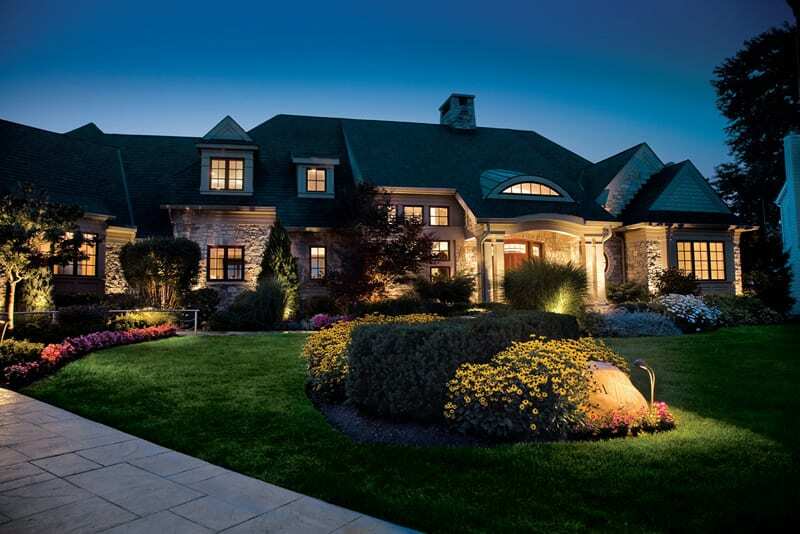 Ambient lighting creates a soft light that covers an entire landscape area while spotlighting puts focus and attention on particular features of the landscape. A good first impression can make a world of difference when you’re selling your home. By increasing your home’s curb appeal and property value with front yard landscape design, you have a chance to influence the opinion of potential buyers before they even step inside your home.